at Rs. 6,034,000 (ex-showroom Delhi and Mumbai). "Re-engineered for more power, the all-new Audi TT Coupe blends dynamic aesthetics with innovative technology and inspired performance. A design icon, the all-new Audi TT Coupe combines classic TT DNA with that of the legendary Audi Sport models, truly embodying 'Vorsprung durch Technik'. A pleasure to drive, the futuristic interiors with brushed aluminum inlays, finely stitched leather sports seats, and innovative Audi virtual cockpit truly embody the sportiness, progressiveness and sophistication of the Audi brand and is the perfect car for our young and dynamic customers in India," said Joe King, Head, Audi India. 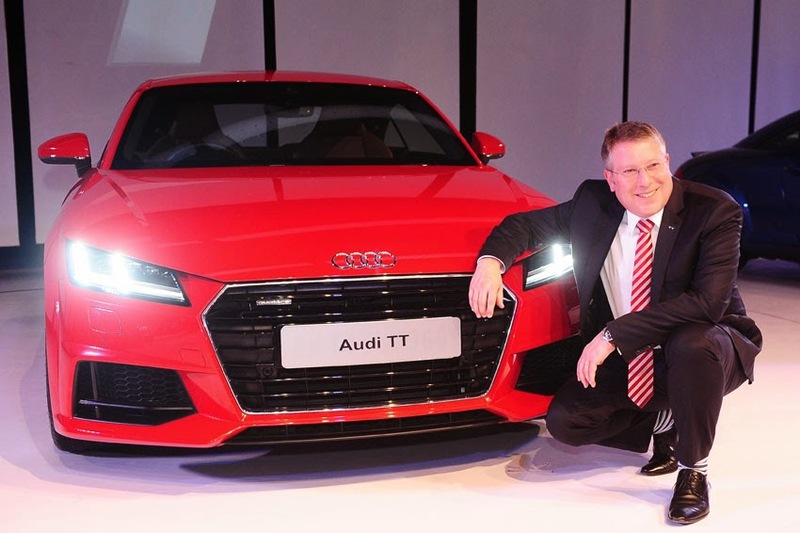 Working in combination with a six-speed S tronic transmission and quattro permanent all-wheel drive, the 2.0 TFSI engine, with its 230 hp, accelerates the all-new Audi TT Coupe from 0 to 100 km/h in 5.3 seconds.